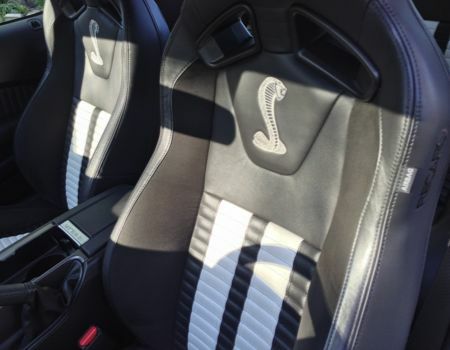 I find difficulty in accurately describing my first experience behind the wheel of the latest Shelby model Mustang save to say that this car is definitely not for everyone and there should probably be required background checks for those wishing to purchase one. It is a beast. It is mean and nasty. 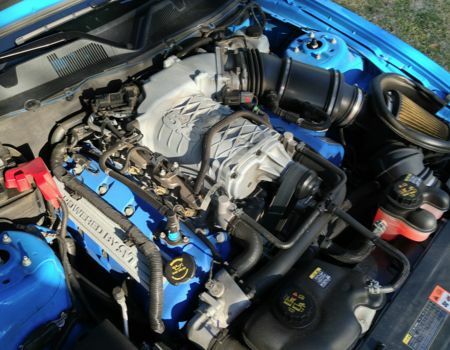 It has the most power ever in a Mustang (or any factory V-8). Heck, it’s got launch control! (And Houston, we did not have ANY problem.) It’s got a top speed of 200 mph and it is available in coupe or convertible at a base MSRP under 55 grand. And NO gas-guzzler tax. 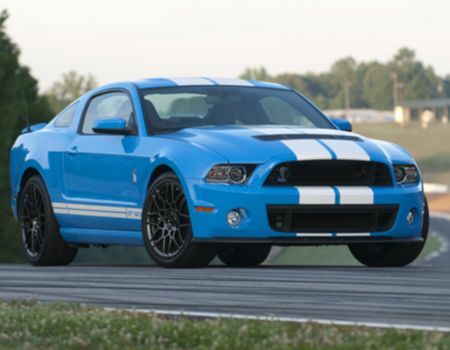 What Ford and Shelby have done with this latest GT500 is slip an aluminum 5.8-liter V-8 underneath the hood and fit it with a larger supercharger for an output of 662hp (up 112 ponies from last year) and 631 lb. ft. of torque backed by the Tremec TR6060 six-speed manual gearbox that sends power via a carbon fiber driveshaft to the rear wheels. An optional Performance Package includes a Torsen torque-sensing limited-slip rear differential for better traction and additional cooling for the engine, transmission and differential. Ford even carved out the front grille for enhanced airflow to the beast. Braking has been upgraded with Brembo six-piston calipers up front with larger rotors front and rear and more aggressive brake pad material. Engineers also enhanced aerodynamics by adding more downforce at speed while minimizing drag thanks to modifications to front fascia and splitters. 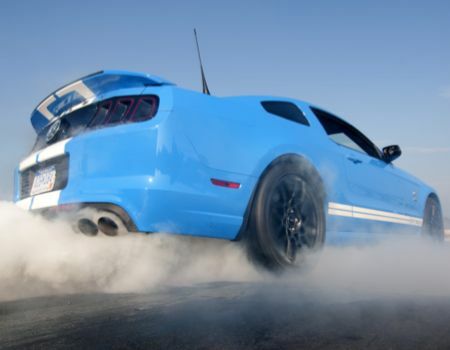 And as part of the performance package the Shelby offers SVT-designed Bilstein electronic adjustable dampers for push-button control over ride and handling perfectly tailored for street or track environments. 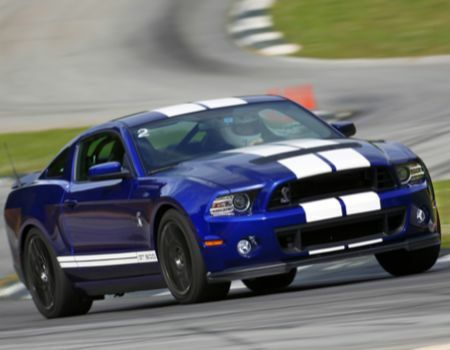 Despite being loaded with modern creature comforts the 2013 Shelby GT500 is not a daily driver. The clutch is the heaviest ever in a street car and shifts are hard and solid. The Recaro sport buckets are necessary in this vehicle and should probably come with a five-point racing harness. The new GT500 rides on 19-inch forged-aluminum wheels up front and 20s in the rear shod with Goodyear Eagle F1 SuperCar rubber and Ford offers two wheel designs for buyers to choose from. I hear the car has a great Shaker audio system. I say that I hear it has one as I never found myself wanting to listen to anything other than that awesome exhaust growl (and a few tire barks). 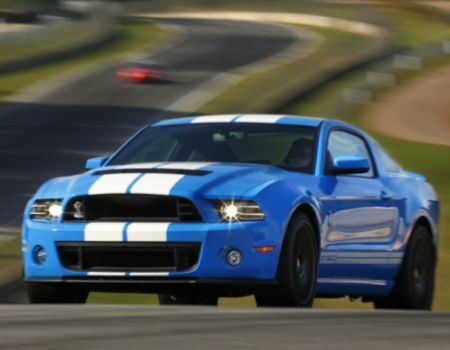 By the numbers, the 2013 Ford Shelby GT500 boasts fuel economy figures of 15 mpg city and 24 mpg highway for a combined rating of 18 mpg. As I mentioned previously, pricing starts at just under $55,000 with this test model Coupe arriving with a final sticker of $63,080 and bathed in Grabber Blue paint with Performance White body striping. Remember that Launch Control I mentioned? 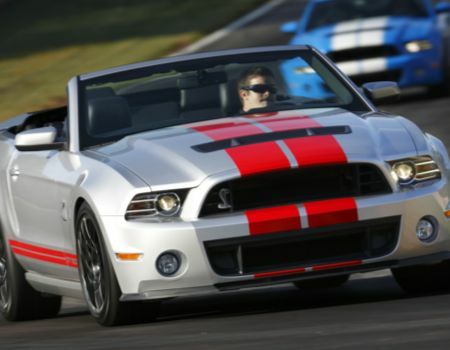 Well, for nearly every electronic function the Mustang features, Shelby allows drivers to disable or modify them should the situation turn a bit more, ahem, competitive. This truly is a car that can be driven from street to track and back again. The new launch control system lets drivers set the desired launch rpm depending on tire temperature, pavement surface or other conditions. Unique to SVT’s launch control is that it is integrated with both the engine control and traction control. Drivers can even access Track Apps via the 4.2-inch color LCD screen in the instrument cluster to monitor g-forces, acceleration times and braking performance information.